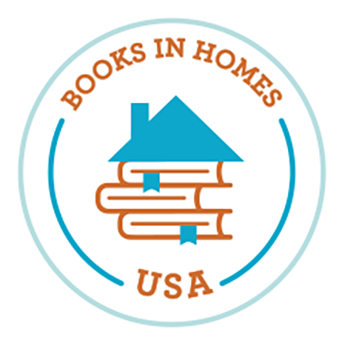 Find out what's happening this month at Books in Homes! Books in Homes' 5th Annual Golf Outing is on August 6th! As we look forward to our 5th Annual Golf Outing on August 6th, we also reflect on how the Books in Homes program has grown since our first outing in 2014. We now serve over 25,000 children annually. Just this past school year, we began serving an additional 3,000 children in three new states - Maryland, Virginia, and California - thanks to the support and efforts of generous partners like yourself. Still, there are many more children that simply do not have the resources needed to ensure success in school and in life. At this year's Golf Outing, our goal is to raise $50,000, which can provide over 15,000 books to deserving children in our communities. Please join us on August 6th at New Jersey National Golf Club in Basking Ridge or consider our sponsorship opportunities to help us reach our goal. Your generous support can help provide thousands of books to children yearning to break free from the cycle of poverty that sustains illiteracy. I look forward to seeing you in August! Students receive the Mainfreight Award for Excellence in Attitude in Carson, California. This May, in partnership with Mainfreight, Books in Homes was able to award students in the Los Angeles area with the Mainfreight Award for Excellence in Attitude. This award is presented to a student transitioning out of elementary school at the conclusion of the school year who has demonstrated an excellent all-around attitude. Is there a school or organization in your community that you think would benefit from the Books in Homes program? Click here to learn more about Adopting a BiH Location!